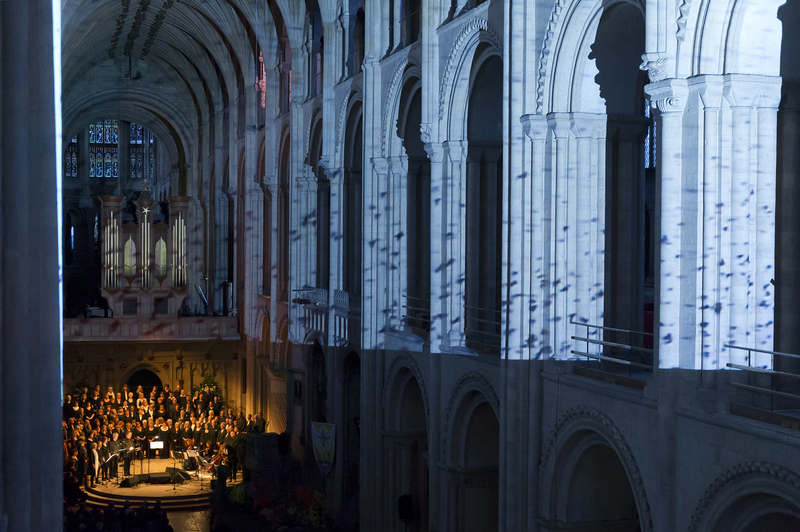 100 voice choir to present Christmas music and visual splendour in Norwich Cathedral. Norfolk’s internationally renowned Voice Project Choir will be joined by the solo voices of Human Music and percussionist Derek Scurll for two brilliantly atmospheric Christmas concerts with a difference in the beautiful Presbytery of Norwich Cathedral on Saturday 14 December at 7pm and 9pm. The 100-voice choir, is co-led by conductor Sian Croose and composer Jonathan Baker. It is completely open access and the singers have been has been rehearsing since early October for the concert. Past Voice Project compositions have gone on to be performed on BBC Radio 3 and at international jazz festivals in Coutances, France, Sage Gateshead and the London Jazz Festival. This entry was posted in Uncategorized and tagged christmas music, christmas music in Norwich, culture in norwich, going out in norwich, music in norwich, voiceproject, what to do in norwich. Bookmark the permalink.